A longer than usual 63-day interval between New Year's and Carnaval (March 5th), is boosting travel agents' spirits. In 2018, the interval between the two holidays, which are considered the most expensive times to travel in Brazil, was 44 days. "We have been selling well because people had time to go back to work, get stressed and feel like resting again," says Viviane Pio, sales manager at travel operator CVC. For those who want to enjoy Carnaval, coastal cities are the way to go, especially in the Northeast. CVC's most sought-after destinations are from the region: Porto Seguro, Fortaleza, Natal, Maceió and Salvador - Rio comes in sixth place. Fortaleza is the Northeastern capital with the lowest prices. The city's airport has plenty of flights to and from the Southeast when compared to other nearby capitals. Flights' prices suffered a 30% decline compared to last year's Carnaval. They cost on average R$ 872 (US$ 223), according to flight search engine Kayak. Fortaleza has been suffering from a wave of criminal activities since January 2nd, but Pio says that so far, it has not affected her business. "The tourist spots are being heavily policed," she said. According to an Airbnb survey, the average daily rate to rent a seasonal property during Carnaval is R$ 267 (US$ 68) –in Recife, it's R$ 488 (U$ 125) and Salvador, R$ 573 (U$ 146). There's also a lot of Carnaval away from the sea, and with lower prices to boot. São Paulo has 624 blocos (as Carnaval street parties are called) against 473 in Rio de Janeiro. 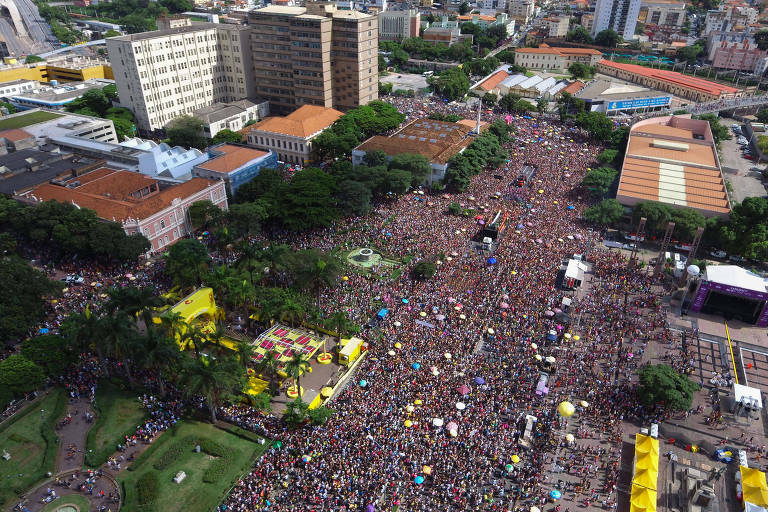 Data from airfare search engine Skyscanner search shows that ticket prices to São Paul fell 53% since last Carnaval. Also, the daily average Airbnb rate is R$ 181 (US$ 46) –28% of Rio's average rate (R$ 635, or US$ 162). However, Gabriela Figueiredo, director of travel agency Matueté, says that foreign tourists still haven't caught on to São Paulo's Carnaval; they still want to go to Rio. Another alternative option is Belo Horizonte, where the bloco scene grows stronger every year. In 2019, 590 blocos will hit the streets of Minas Gerais' capital. Those who want to check it out can also extend the trip to other more traditional Carnaval towns nearby, like Ouro Preto and Tiradentes.